The Arridwan Mosque in Edinburg is the site of the annual Islamic Festival. This Saturday, a local Islamic group holds its annual festival, an event open to the public to get to know their Muslim neighbors and learn about Islam. 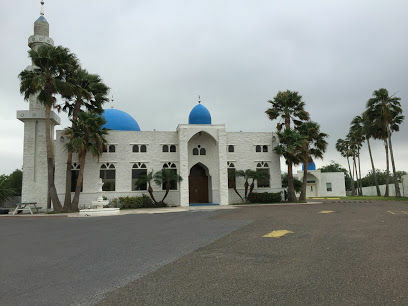 The Islamic Festival will be held from 11 a.m. to 4 p.m. at the Arridwan Mosque in Edinburg hosted by Masjid Arridwan — the Alkhair Islamic Society of RGV. 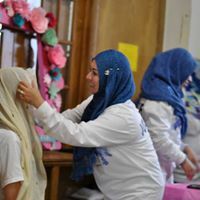 Now in its third year, the purpose, said Masjid Arridwan board member Tareq Allan, is to invite the public to get to know members of the mosque and learn about the religion. According to Allan, within the Valley, about 300 families and 800 individuals practice Islam. The Arridwan mosque was erected in 2005, but its history in the region traces back about three decades. Attendees will be able to try on hijabs at the Islamic Festival. Several activities for all ages will be offered, most taking place inside a new building of the mosque. A room will be open for visitors to try on hijab’s, practice Arabic calligraphy, receive henna tattooing and face painting in order to become familiarized with customs of Islam. In another area, educational books will be on display and Islamic souvenirs will be offered. Abu Omar Halal, a food truck from Houston, will be serving up Arabic food including chicken and beef shawarma and falafel. Tours of the mosque are also being offered, as well as a question and answer session with three Imams — Muslim leaders — who will be addressing any confusion about Islam and discussing “common things between Islam and other religions in the Valley,” Allan said. Moon jumps and train rides will be provided for children in the outside lot. Since the first event was hosted in 2016, Allan said attendance has grown steadily; last year the Arridwan mosque received nearly 400 visitors. This wouldn’t be possible without the help of volunteers. Members of the Muslim Student’s Association at the University of Texas Rio Grande Valley, he said, have played a big role in its success. The main hope for this year, Allan said, is an increased level of engagement, interaction and collaboration amongst different communities. This story has been changed to reflect the correct spelling of the food truck.